Training camp - athletes of all disciplines do them. It is an intensive multi-day training session where one session builds upon the next. Individual skills are elevated and teams are created. In the midst of it all, we celebrate each others triumphs and uplift each other through struggles. 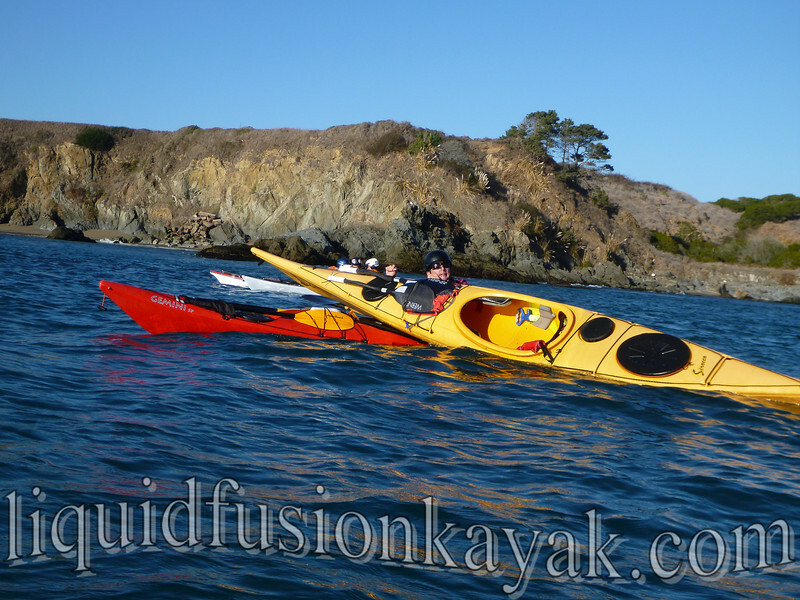 Jeff and I teamed up with Ryan Rushton of Geneva Kayak Center to create Ocean Camp Northern California. Ryan runs Ocean Camps in Georgia, Maine, and Alaska so we were excited to share his format with him in our playground of the Mendocino Coast. 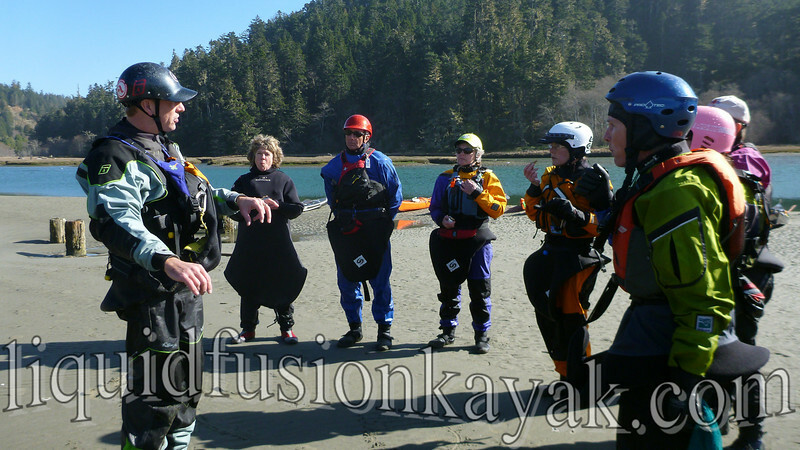 We timed the event just prior to the Golden Gate Sea Kayak Symposium so that students would have the opportunity to attend both for 8 intensive days of kayaking instruction (and fun). 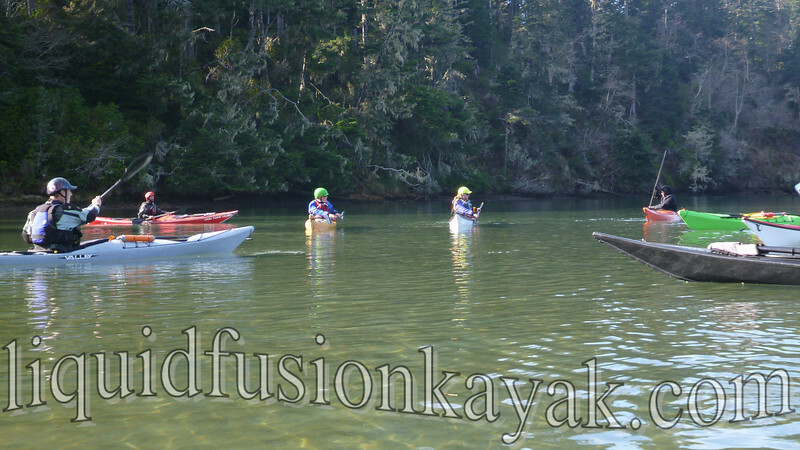 Most rough water paddlers will say that sea kayaking is a team sport. With 5 days of training, we had the opportunity to develop individual as well as team skills. By darned it worked. Not only was our group of paddlers operating as a team but everyone had nicknames for each other and the playful banter that occurred on and off the water gave everyone's abdominal muscles quite a work out. The students' drawings of the coaches was one of the most gut-wrenching moments of the week. 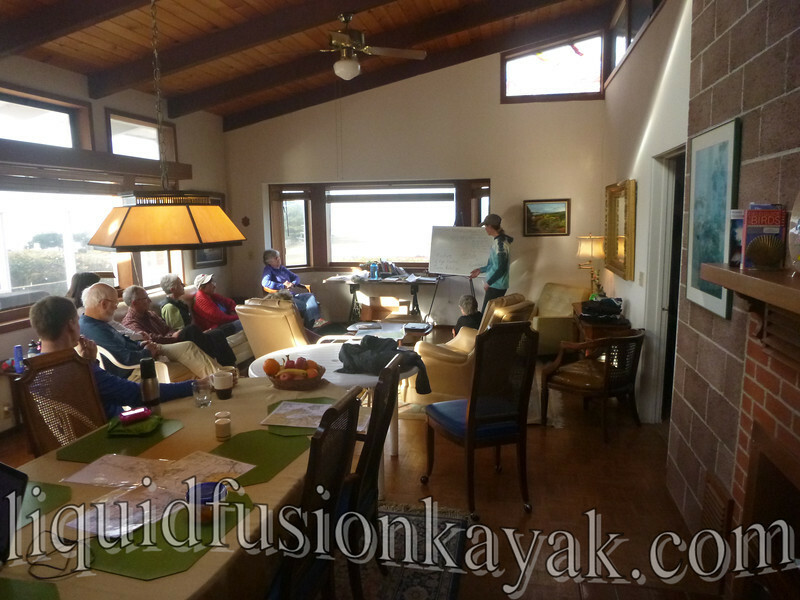 Each day started off with a hearty breakfast and morning brief in the vacation rental home that we had rented for the week. Cate prepares the Wave Warriors for the Day. On the water, we started off perfecting strokes on calm water and then progressed into more dynamic water. We were blessed with some great weather - sunny and warm and were excited to get some rain on the last day of the week. Ocean conditions were not optimal for coastal journeying during the week, but we had plenty of opportunities for skill development in rough water. On day two everyone was excited for an afternoon in the surf but unfortunately swell conditions were larger than predicted making our surf zone a "no-go." We did find an excellent spot for some body surfing though. The long period swells had a lot of power, and we were all stoked with nice long rides. A lot of laughter and fun was had playing about in the soup. Speaking of soup - of course one of the highlights was having everyone stay in a vacation rental home in Fort Bragg. The views of the ocean from the house were inspiring. Everyone enjoyed quiet moments watching the ocean, moments of delight when spotting the spout of a migrating gray whale, and even exciting moments when one of the local surf breaks was going off (some were so thankful we were viewing it from land while others of us were mind surfing as the waves pitched and reeled). In the vacation home, we had the opportunity to cook nutritious meals for the gang. 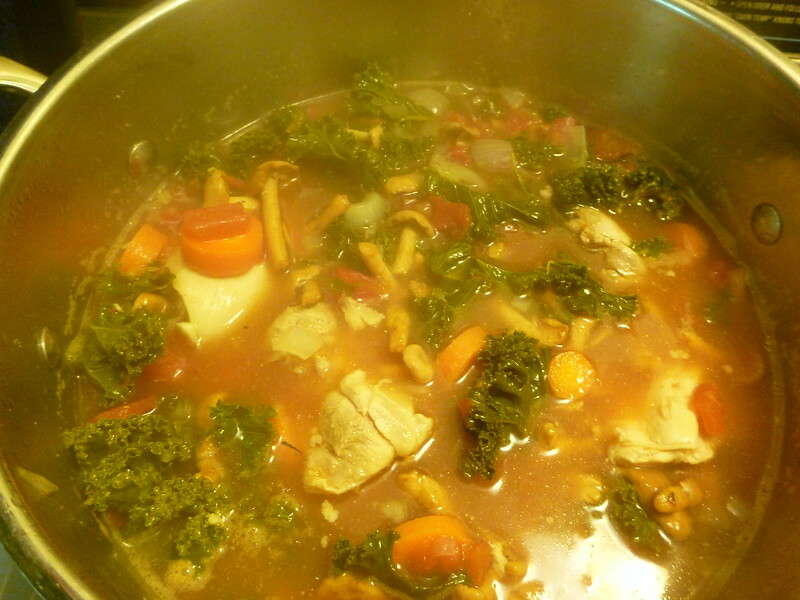 Cate's Kale Soup was a big hit. The last day of Ocean Camp Northern California was my favorite. 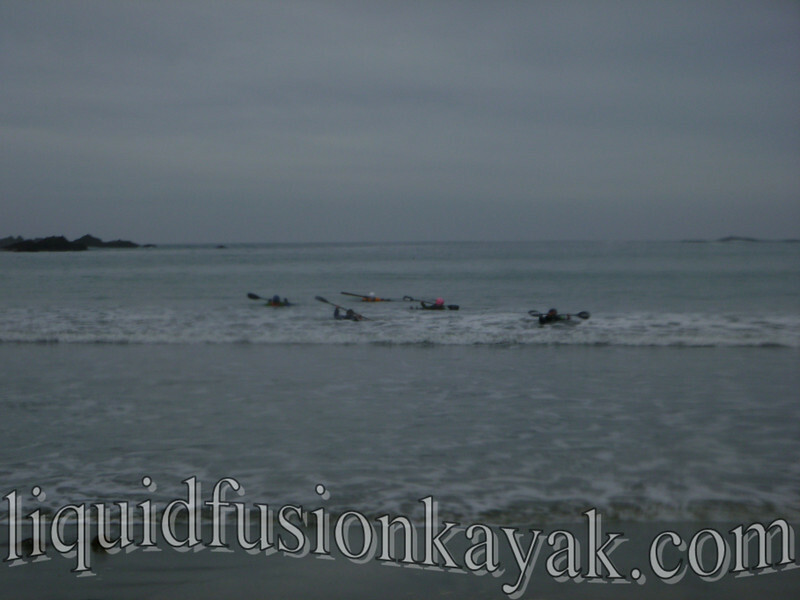 We had a good surf zone for training on controlled launching and landing techniques. 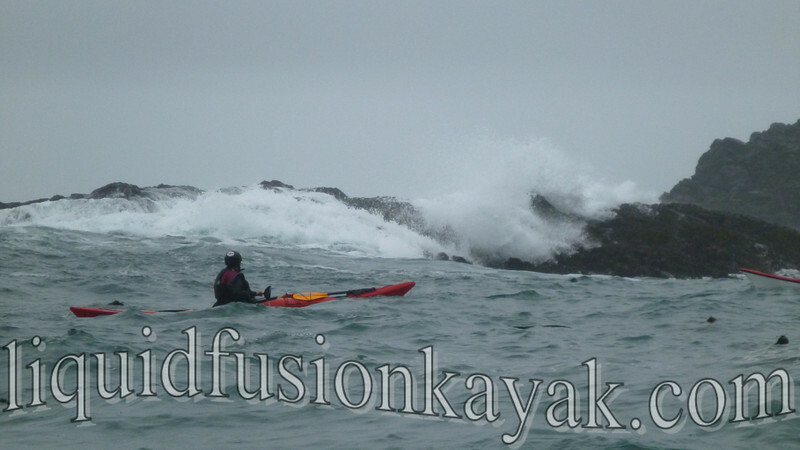 Followed by the opportunity to paddle in some very dynamic water. It was awesome to see everyone go from nervous and tense in the large swells and bouncy water to smiling and ouuuuuing and ahhhing as the swells exploded on the rocks and cliffs of the headlands around us. 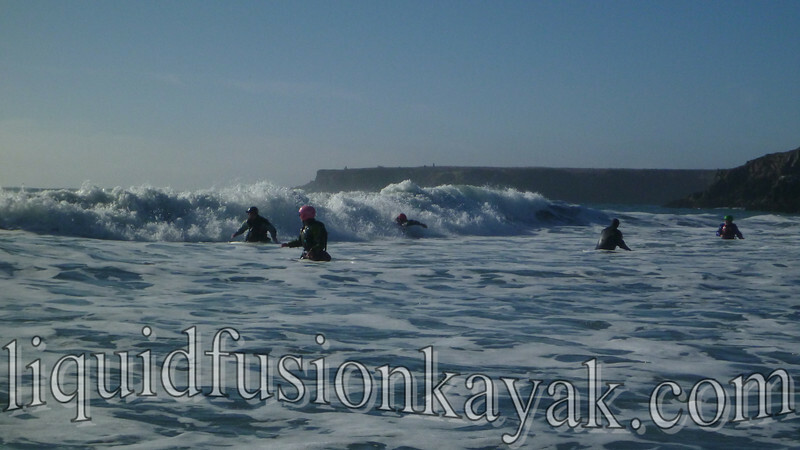 Paddling in the big conditions was a nice climax to a fun filled week. 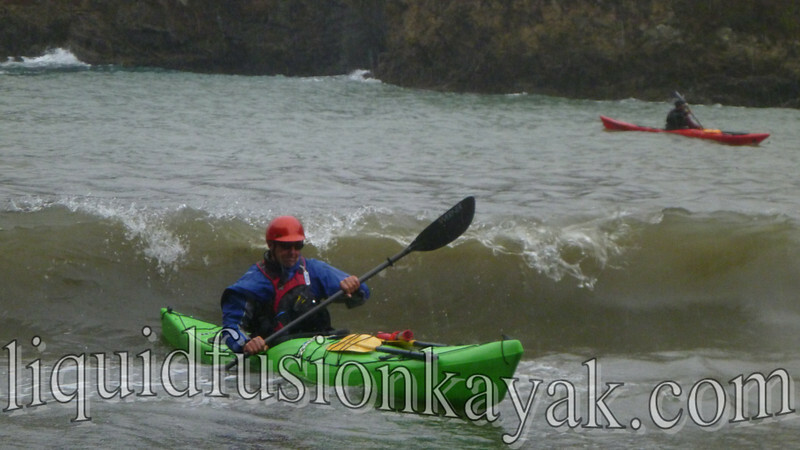 The next day, most of us would be journeying south to San Francisco for the Golden Gate Sea Kayak Symposium. But truth be known, the camaraderie continued into the symposium and beyond. Smiles and nicknames were hailed as our camp participants passed on another on and off the water - an indicator to us that the skills and friendships developed during Ocean Camp Northern California will last a long time.